NMBC WOMEN’S CONFERENCE next Friday, April 5 beginning at 6:30 and Saturday, April 6 beginning at 8:30. Registration deadline is THIS SUNDAY, March 31! Visit us at the Connections Centre or register online at http://bit.ly/NMBC19womencon. We are looking forward to worshipping and learning together. 1st SATURDAY MEN’S FELLOWSHIP April 6 at 8am we will meet in the external building to hear what God is doing in the life of James Schofield, followed by the Lion’s Club community breakfast. This month’s floorball is cancelled but will resume in May. THE GRID - Saturday, April 13 from 1:30-3:30pm at NMBC! Come and discover ways to reach out, share the Gospel, and participate in evangelism while engaging in a time of fellowship. Workshops include: Understanding the Canadian Landscape, The GRID Model, Sharing my Faith and Developing Spiritual Relationships. Presented in partnership with The Gideons International and ShareWord Global. See Pastor Daniel for more details (daniel.cormier@nmbc.ca). 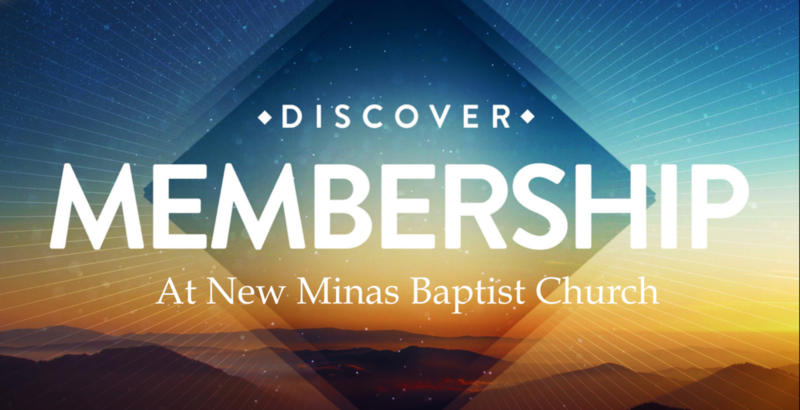 NEXT STEPS DISCOVERY MEMBERSHIP CLASS Come learn more about who we are, what we believe, where we are going, and the benefits of becoming a member on Thurs, April 11 at 7pm. To reserve your spot email Pastor Daniel (daniel.cormier@nmbc.ca) or call the church office 902-681-7683. FOOD BANK SUNDAY is this Sunday, March 31. A donation box is located at the Connections Centre. Envelopes for monetary donations are available at Welcome Centre. Cheques can be made out to "Fundy Interchurch Food Bank”. ﻿NMBC SUMMER STAFF APPLICATIONS - Now accepting applications for annual summer staff position[s] in children and youth ministries, pending funding from the Canada Summer Jobs Program. Applicants must be 15-30 years of age at the start of employment. Application deadline is this Sunday, March 31. Contact Pastor Jon Dixon for an application package. 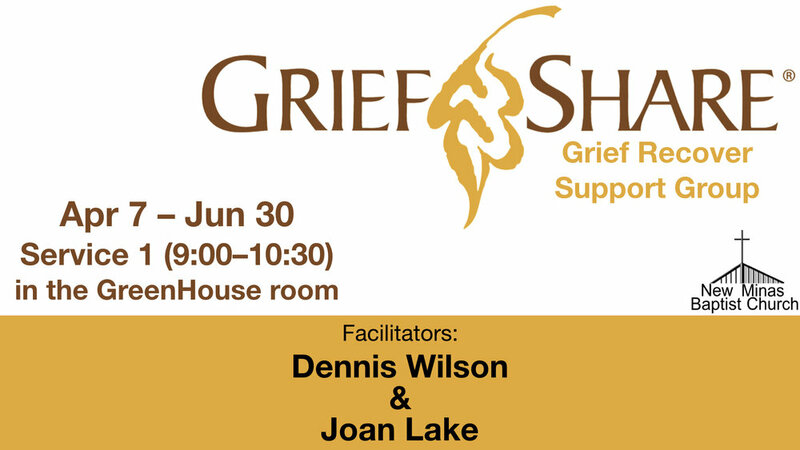 GRIEF SHARE - You don’t have to go through the grieving process alone. Starting today at 9:00am in room B5. For more info, contact our church office or Dennis Wilson at camino99@outlook.com or 902-599-0095 / 902-300-9418.